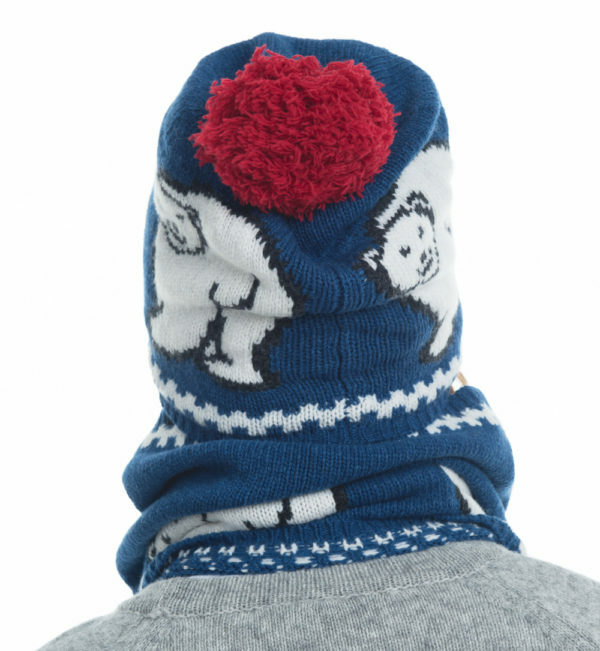 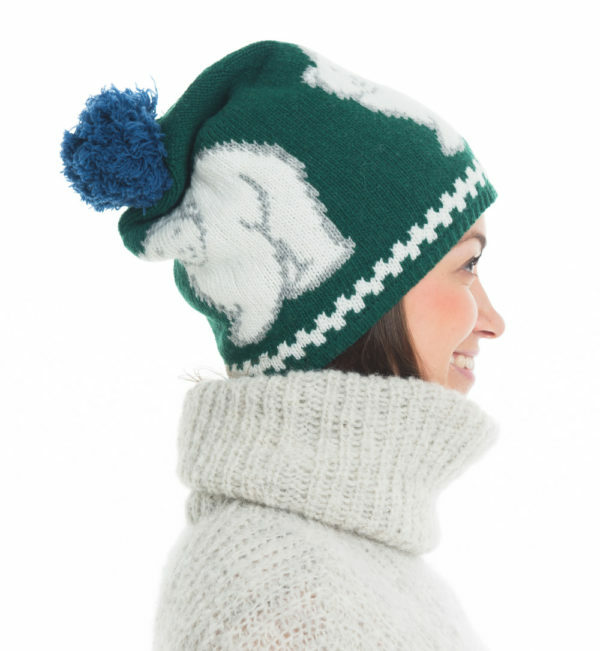 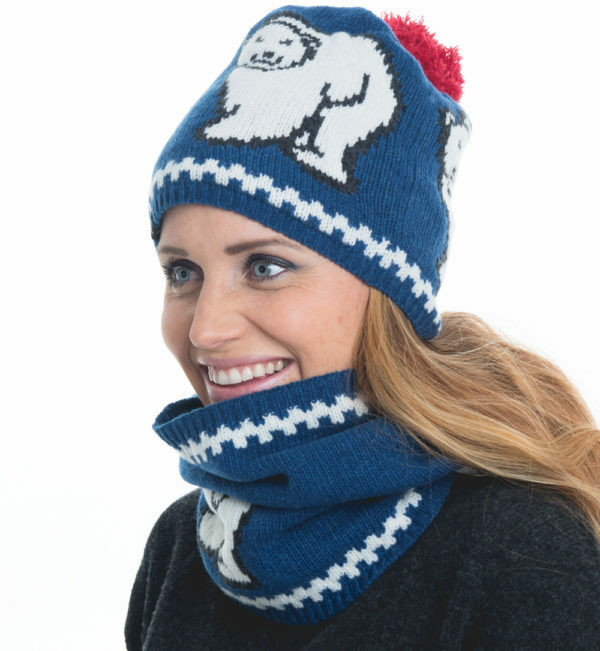 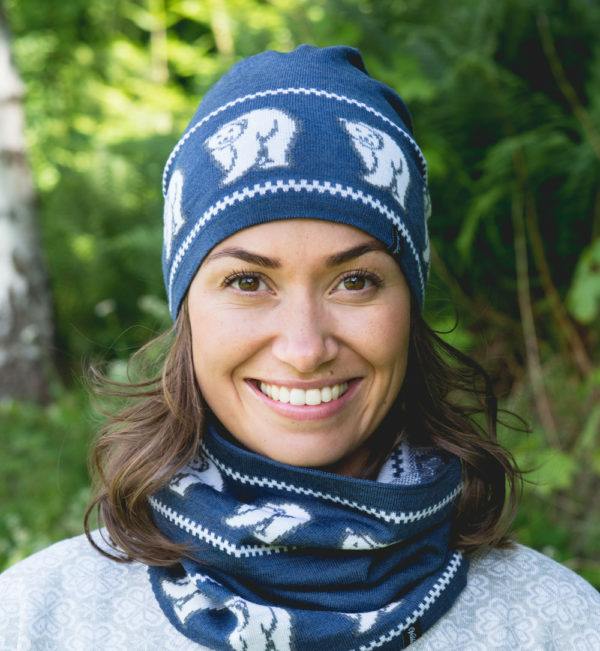 Hat with a charming Polarbear motif that suits both ladies and men. 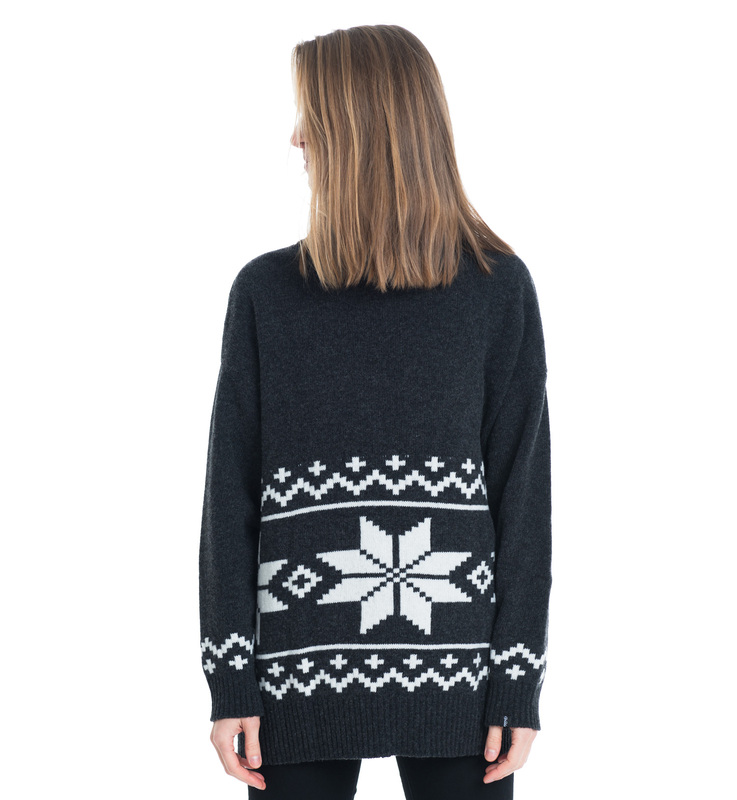 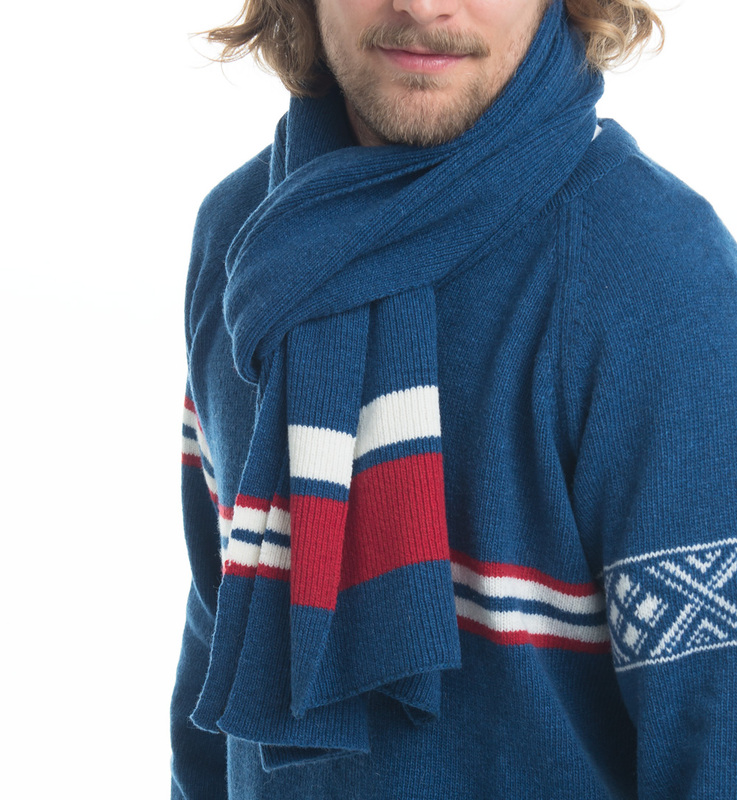 The hat is knitted in soft lamb wool with 20% nylon. 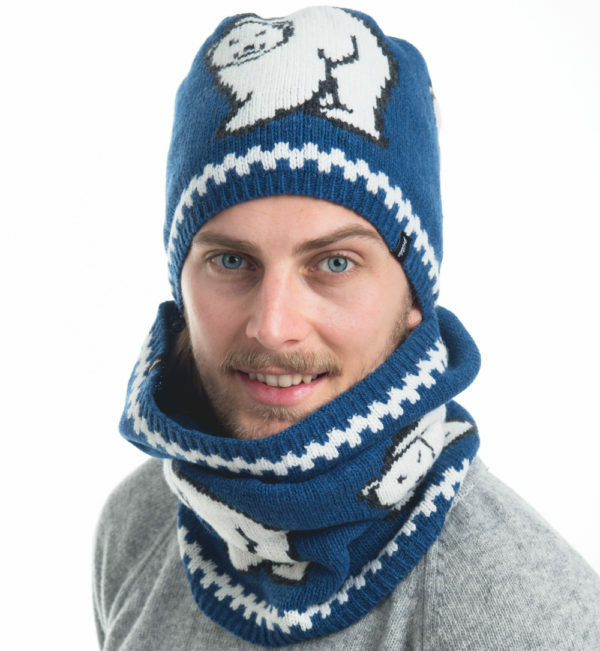 Combine it with Polarbear neck.